Are you in need of an Easton PA injury lawyer? Have you been injured in an Easton PA accident that was not your fault? Are you worried that the Easton PA accident has caused you permanent injuries? Will you be able to pay your rent, mortgage and/or bills because you are unable to work? Are you in need of an Easton PA accident attorney and personal injury lawyer who has an established Easton Pennsylvania injury law firm with a history of fighting hard for their clients in Northampton County? Do you need answers to questions about your Easton PA car crash case or perhaps you were seriously injured in an Easton truck accident, bus accident, motorcycle collision, fall, work accident, dog bite or a defective product? Knafo Law Offices is a law firm devoted exclusively to the practice of personal injury litigation. Since 1982, Attorney Jerry Knafo has successfully helped thousands of Pennsylvania accident and injury victims from Allentown, Bethlehem, Easton, Nazareth, Catasauqua, Bangor, Bath, Lehighton, Palmerton, Northampton, Hellertown, Stroudsburg, Wilson, Wind Gap, Palmer, Pen Argyl, Forks Township, Whitehall and the surrounding cities and counties with their Pennsylvania injury cases. Attorney Knafo has been listed as a Pennsylvania Super Lawyer® by the Pennsylvania Super Lawyers Magazine for 2005, 2006, 2007, 2008, 2009, 2010, 2011, 2012, 2013, 2014, 2015, 2016 and 2017. Being named a Pennsylvania Super Lawyer® is an honored distinction awarded to only the top 5% of lawyers in Pennsylvania. For the sixth year in a row, Attorney Jerry Knafo has been the proud recipient of the Pennsylvania Super Lawyer® title. 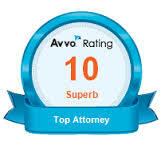 Becoming a Pennsylvania Super Lawyer® is no easy task. The rigorous process involves four detailed stages of selection including voting by lawyers throughout Pennsylvania. Jerry Knafo is president of the Elite Lawyers of America®, an organization limited to attorneys across the country who have obtained a verdict or settlement in excess of 2 million dollars. Knafo has received the highest possible "AV preeminent rating” from Martindale-Hubbell® and has a "superb" 10.0 rating by AVVO®, an organization that rates lawyers by ethical standards, client reviews and years of practice. Knafo has been recognized by The American Trial Lawyers Association® as a “Top 100” Pennsylvania trial lawyer. Knafo Law Offices was voted “Best Attorney” in the 2010, 2011, 2012, 2013, 2014, 2015, 2016 and 2017 Lehigh Valley Morning Call Reader’s Choice Awards®. 10. We PROVIDE our clients with more than 100 years of combined attorney, paralegal and secretarial legal years of service. When it comes to Easton, Pennsylvania accident and injury cases, we are here to answer your questions and to provide you with the legal help and direction you need. We realize that an accident can be physically and financially devastating to individuals and families. For this reason, we are available around the clock to tend to our client's needs. The best Easton injury lawyers most certainly would agree that accident victims need to research which lawyer is best for their particular case. The top Easton injury lawyers most certainly would agree that you should interview the attorney to determine if he/she has the experience, reputation and personality that fits your needs. Our attorneys are available to visit all areas of Easton and Northampton County to discuss personal injury cases with clients from Easton, Nazareth, Bath, Bangor, Wilson, Palmer, Catasauqua and Bethlehem, PA.
We have handled accident cases that have occurred on Route 611, Route 309, Route 22, Route 78, Route 145, Route 33, Route 191, Route 512, Northampton Street, Route 115, Sullivan Trail, Nazareth Road and the Pennsylvania Turnpike (Route 476). With our dedicated staff of Easton personal injury attorneys and our state-of-the-art computerized Easton law firm offices and our uncompromising determination to obtain justice, we are prepared to serve the seriously injured of Easton and Northampton County, Pennsylvania. Our promise to our clients, colleagues and community is quite simple...We are here when you need us! For more than 35 years, we have been representing injury victims and families who have been harmed as a result of someone else's negligence. We have fought many battles over the years in support of our clients and we will fight hard for you. Perhaps this was your first accident. You have dozens of questions and you are not sure what to do. Do you have questions such as these? Who is responsible for my medical bills? What insurance company should pay for my vehicle damage? Is the insurance company offering me a fair amount for my vehicle damage or total loss? Should I be giving a recorded statement to the insurance company? Should I be meeting with the insurance adjuster at my home? Must my employer keep my job available for me during my disability? What does full tort or limited tort mean? What if my injuries are permanent? These and other questions need prompt responses. Call Knafo Law Offices at (610) 253-5555 for answers to these and other pressing questions. You can speak to our lawyers for free to see if you have a potential case. If we accept the case, we work on a contingency fee basis...no attorney fee unless we win the case! We make house calls! Sometimes our clients are unable to get to our office due to serious injuries or because their vehicle was damaged in the accident. In these cases, we will come to you for your free initial consultation. We know the insurance companies have plenty of lawyers to defend them. Shouldn't you also protect your legal rights? Learn the Pennsylvania accident injury laws that apply in Northampton County and the cities surrounding Easton, PA. We can explain the PA Motor Vehicle laws and the trucking, drunk driving, DUI, defective product, slip and fall, snow and ice removal requirements, dog and animal laws, workmen’s compensation, medical malpractice statutes, ordinances and regulations. We have four (4) offices located throughout the Lehigh Valley to accommodate our client's needs. Call us at (610) 253-5555 to schedule an appointment. A drunk driver (DUI) drives his car on the wrong side of the road causing a head on collision. A tractor trailer driver falls asleep at the wheel and strikes a stopped vehicle on the highway causing life changing results. A negligent driver disregards a stop sign and enters an intersection causing a devastating crash. A driver falls asleep at the wheel and causes the death of an innocent victim. A motorcycle driver is seriously injured when a vehicle turning left fails to yield the right of way and turns directly into his path causing the motorcyclist to be thrown from his cycle. A truck driver is tailgating a vehicle on the highway and violently rear ends the vehicle causing a multi-vehicle crash. A driver is speeding and strikes a child crossing the roadway. A man driving a stolen vehicle strikes a car and leaves the scene of the accident. A man slips and falls on snow and ice that was not shoveled or salted causing serious injuries. A dog is allowed to wander in the street without a leash and bites a passerby. A man’s injuries at work prevent him from returning to his job. A man slips on liquid on the floor of a store that causes him to fall and injure himself. Accident Cases We Handle: Auto, Truck, Motorcycle, Pedestrian, Motor vehicle, Hit and Run, Death, Drunk Driving, Slip Trip and Falls, Work, Dog attacks, Construction, Defective Products, Food Poisoning, Workers Compensation, Workmens Compensation, Workmans Compensation, Social Security Disability, Medical Malpractice, Wrongful Death, Paralysis, Paraplegia, Quadriplegia, Brain Injuries, Fatalities. Types of Injuries We Handle: Broken bones, Fractures, Spinal cord injuries, quadriplegic, paraplegic, broken arm, broken leg, herniated disk, buldging disk, compressed disc, back, neck, thoracic, fibromyalgia, rsd, broken nose, broken teeth, tmj, finger, skull, property damage, permanent, death, concussion, coma, paralysis, paralyzed, lung, induced coma, shock trauma, head trauma, trauma, burns, road rash, scars, scarring, brain damage, traumatic brain, Joint trauma, elbow, hand, hip, wrist, whiplash, leg, arm, knee, patella, ankle, foot, nose, wheelchair, walker, cane, numb, lumbar, cervical, thoracic, L5-S1, L4-5, C5-6, surgery, spinal cord, disc, disk, coma, brain, knee cap, wheelchair, concussion, fatality. We handle accident and injury cases in the following cities and counties: Allentown, Bethlehem, Boyertown, Easton, Alburtis, Bangor, Bath, Catasauqua, Center Valley, Coopersburg, Emmaus, Fleetwood, Fountain Hill, Hilltown, Fullerton, Hamburg, Hellertown, Hereford, Kutztown, Lehighton, Lenhartsville, Macungie, Nazareth, Neffs, Nockamixon, Ottsville, Palmer, Palmerton, Perkasie, Plumstead, Pottstown, Quakertown, Reading, Richlandtown, Roseto, Schnecksville, Sellersville, Slatington, Souderton, Stroudsburg, Tatamy, Telford, Topton, Trexlertown, Whitehall, Wilson, Wyomissing, Zionsville, Lehigh, Northampton, Berks, Bucks, Carbon, Monroe, Pike, Lancaster, Dauphin, Center, Chester, Philadelphia, Montgomery. Other Cases We Handle: Dog Bite, Falls, Slips, Trips, Work, Employer, Employment, Negligence, Recklessness, Swimming pool, Tractor trailer, driving under the influence, Speeding, Reckless, Drinking and driving, DUI, leaving the scene, rear ended, rear ender, rear end, total loss, highway, ice, snow, shovel, salt, ordinance violation, statute violation, motor vehicle, citation, hit-and-run, social security, workers compensation, workmens compensation, medical malpractice, defective products, food poisoning, wrong prescription. Accident locations We Visit: Route 22, Pennsylvania Turnpike, Route 78, PA Turnpike, Macarthur Road, Route 80, Route 115, Route 248, Route 611, Route 512, Route 378, Route 100, Route 143, Route 145, Route 476, Route 76, Route 676, Route 863, Route 873, Route 987, Route 329, Route 412, Route 191, Route 33, Dorney Park, Lehigh Valley Hospital, Sacred Heart Hospital, St. Lukes Hospital, Easton Hospital, Warren Hospital, Gnaden Huetten Hospital, Lehighton Hospital, Palmerton Hospital, LVHC, Pocono Medical Center, Reading Hospital, Lancaster Hospital, Grand View Hospital, Lehigh Valley Airport, Hershey Park, Cattell Street, Route 248, Nazareth Road, Hamilton Street, Hamilton Boulevard, Schoenersville Road, Sullivan Trail, Newburg Road, Hecktown Road, Freemansburg Ave, William Penn Highway, Tilghman Street, Northampton Street, Route 309, Route 61, Route 222, Route 73, Route 422, Perkiomen Avenue, Coca Cola Park, Dorney Park, Lehigh Valley Mall, Whitehall Mall, Promenade Shops, Manheim Pike, Mauch Chunk Road, Lancaster Avenue, Main Street, Union Boulevard, Hanover Avenue, Airport Road, Route 512.